The Palais Royale® collection is reminiscent of the elaborate detailing of the classic French Rococo styling with its intricate veneer work, undulating curves and exuberant floral embellishments. 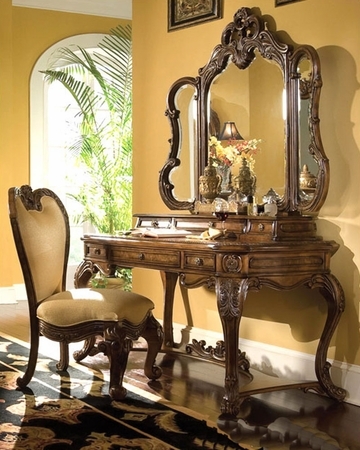 French Rococo came to creation during the late 17th and late 18th centuries, with the word originating from a combination of the French word "rocaille," or shell, and the Italian "barocco," or Baroque style. It is most well known for its use of asymmetrical compositions, undulating lines, and S-curves. 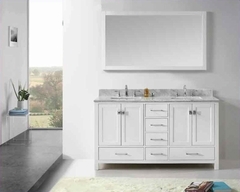 Rococo furniture took on a role of comfort and versatility, and Palais Royale® follows the example. Throughout the collection, the accent furniture pieces can be moved from room to room, seamlessly blending into the décor. As well, each piece has been carefully designed for maximum comfort. Hand carved leaf swirl motif.